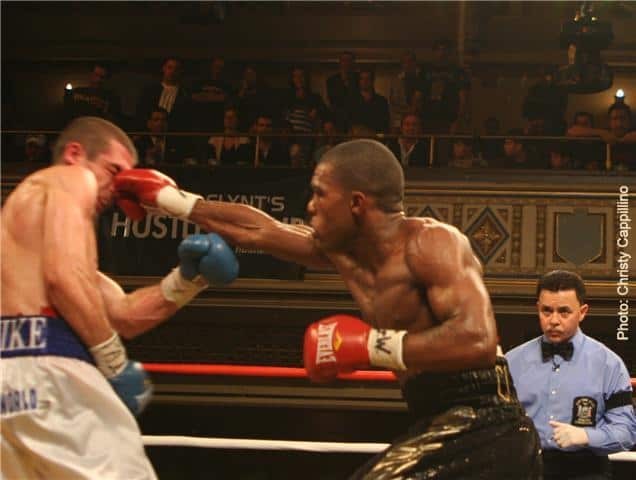 On Dec. 3, 2009, Manhattan Center, New York, “Star Boxing” presented a night of intense action with the USBA Light Welterweight Championship also at stake. Fans packed in to see some fine boxing and a few matches that kept them on the edge of their seats to the finish. Cruiserweight Josh Harris started a scheduled 6 rounder even against Jaywon Woods. Harris scored some hard lefts and quick right hooks in the second with Woods getting in a flurry of his own near the end of the round. However, Southpaw Harris connected with a staggering left and follow-up volley for a 4th round TKO win at 1:17. 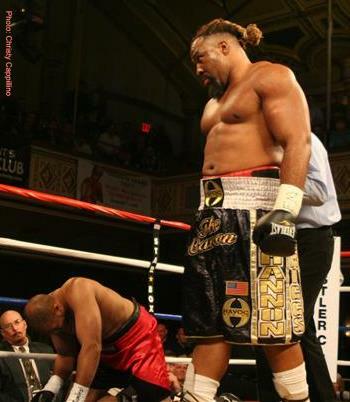 With no surprise, Heavyweight Shannon Briggs took a 2:01 first round KO win after he landed a hard solid right to the open rib cage of Marcus McGee. Super Middleweight Hajro Sujak outscored Todd Eriksson during some good trading for the 4 round Unanimous Decision. 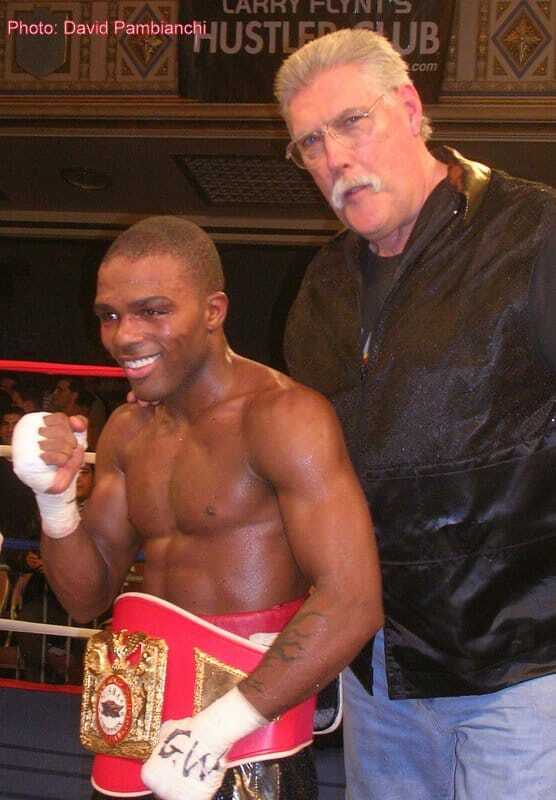 Tim Coleman captured the USBA Light Welterweight Championship over Mike Arnaoutis with a 12 round Split Decision. While the fight seemed fairly close at times, Coleman clearly got in the more solid and effective hits out of the trading, usually with a left hook followed by a straight or cross right. 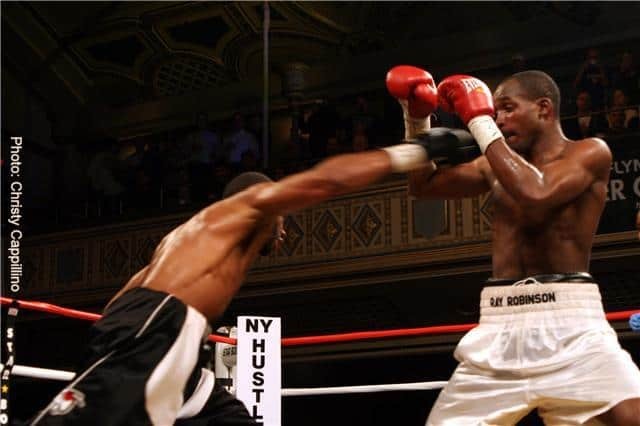 Welterweight Ray Robinson and Brad Solomon provided the most action for New Yorkers in a 8 round Flying Fist Fest. 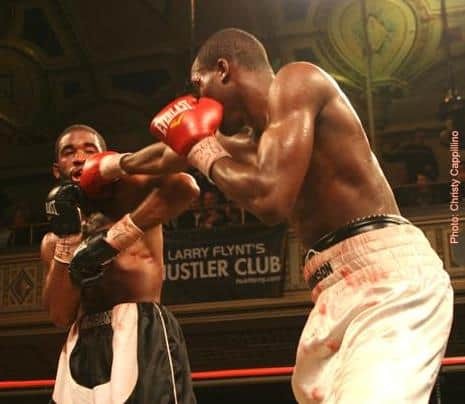 Somewhere during the intense trading, Soloman’s superior hand speed squeezed in more flurries and heavier punches particularly with rights that connected better to give Brad Solomon a Majority Decision win. Note: Maureen Shea vs Jenna Shiver title bout canceled due to medical reasons, but stay hopeful for that match in the future.